19.12.2015. The Hawthorns, West Bromwich, England. Barclays Premier League. West Bromwich Albion versus AFC Bournemouth. 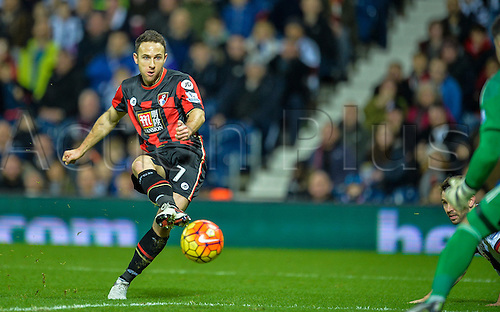 Marc Pugh of Bournemouth has a shot on goal.